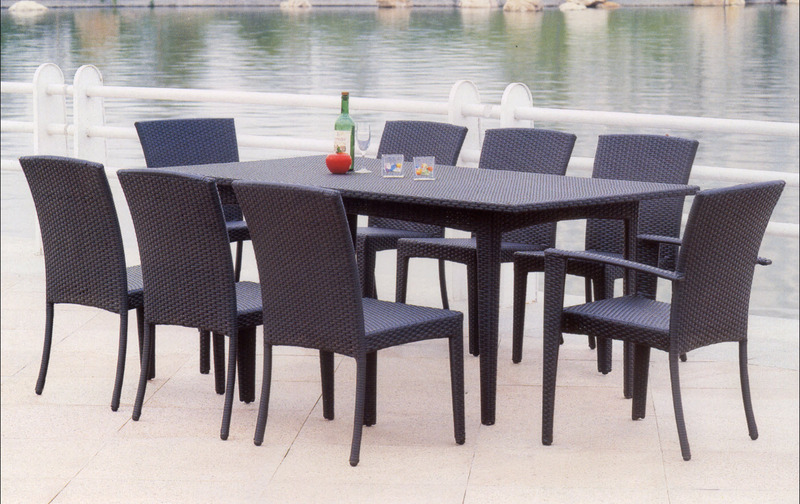 High-quality all- weather wicker carefully woven over a frame of powder-coated aluminum. Lovely, elegant, durable, practical. This is a great example of high-quality all-weather wicker. Our all-weather rattan is carefully woven over a frame of powder-coated aluminum. Lovely, elegant, durable and practical. Treated for exposure to moisture, sun and wind. This is a great dining suite for your Mexican terrace with a view. Clean lines and flawless, sophisticated construction. Available in black and white. Perfect furniture for indoor or outdoor use. 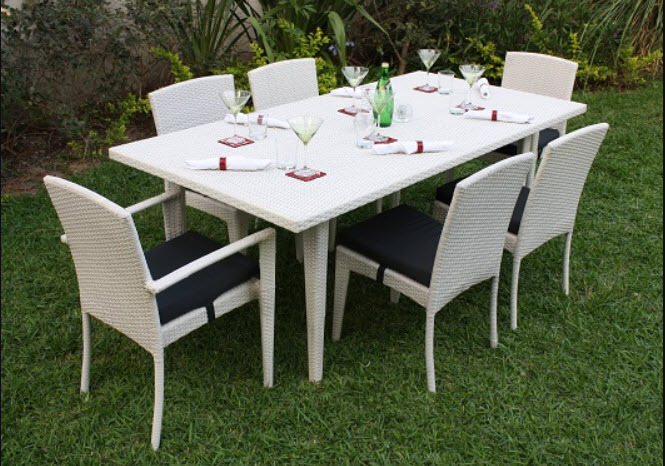 Set includes table and 4 all-weather rattan side chairs. Note we have a 2 arm-chair add-on for this set. Table: 78.75" x 39.5" x 29"
Side Chairs: 19.25" x 21.25" x 34"
Arm Chairs: 21.5" x 21.25" x 34"